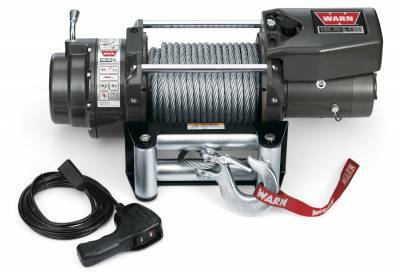 Warn Industries is the world's most recognized brand in off-road products. The company designs, manufactures and markets a full line of off-road equipment and accessories that enhance the performance of four-wheel-drive vehicles and ATVs. As well, the WARN Industrial and WARN Works (for utilitarian use) brands offer high-performance, quality products for today's hard worker." Description: 0.25 in. x 50 ft. - Rated At 4000 lbs. Description: 1/2 in. Pin Dia. - 4500 lbs. Description: 0.75 in. Shackle w/7/8 in. Pin Dia. - 6000 lbs.